Fiberglass is one of the most commonly used insulation materials. It is composed of bundles of very thin strands of glass, which makes it a lightweight, cost-effective and practical option for both residential and commercial applications. Fiberglass is a type of fiber primarily composed of glass that is used in a wide variety of applications, and is predominantly employed as a residential and commercial thermal insulator. Fiberglass is also used to create products as varied as automobile bodies, boat hulls, arrows, roofing, shower curtains, and tent poles. As an insulator, it slows the spread of heat, cold, and sound in structures, cars and aircraft. By trapping pockets of air, it keeps rooms warm in the winter and cool in the summer and thereby serves as a convenient method to increase energy efficiency. 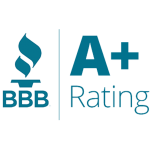 Fiberglass is an attractive choice for home insulation because it poses no fire hazard. According to some estimates, thermal insulation (made from fiberglass and its alternatives) conserves 12 times as much energy as is lost in its production, and it may reduce residential energy costs by up to 40%. 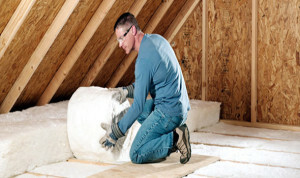 In homes, fiberglass insulation can be installed in various parts of the building envelope. It can be pink, yellow, white or green, depending on its manufacturer, and has a spongy feel. Commonly found in blanket form, called batts, it is available in bags containing standard pre-cut lengths and widths. Batts are typically stapled into place. It also comes in bags as loose fill that can be blown into attic, wall and floor cavities. Most fiberglass batts are manufactured with a paper or foil backing that faces the direction of warmth. When installed correctly, it creates a continuous membrane that retards the passage of moisture and reduces the likelihood that fibrous particles will enter the living space. 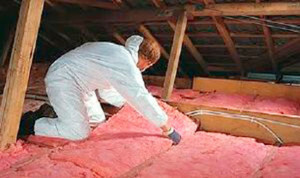 It is important that the backing always faces the warm side of the structure in which the insulation is installed. Batts are available in different thicknesses, with the thicker batts offering a higher resistance to heat flow. This resistance is known as R-value, with common R-values for walls being R11 to R19, and R30 to R38 for ceilings.